Posted On Fri, 17 Mar 2017 20:03:37 +0000. Filed in ramblings. By Vaibhav Bhandari. The best feature about Atom is that it has an easy to use project tree view for looking at files in the folder and working on code in a directory structure. This one feature had me shift from Vi to Atom. The next useful part of any editor is keyboard shortcuts and intuitive editing. I get by with the modes in Vi, but love the idea of e-lisp functions. With cmd+shift+p one can search and execute existing commands. I haven’t used snippets much in the past but an integration with terminal (i.e bash) is what I’ll be exploring next. 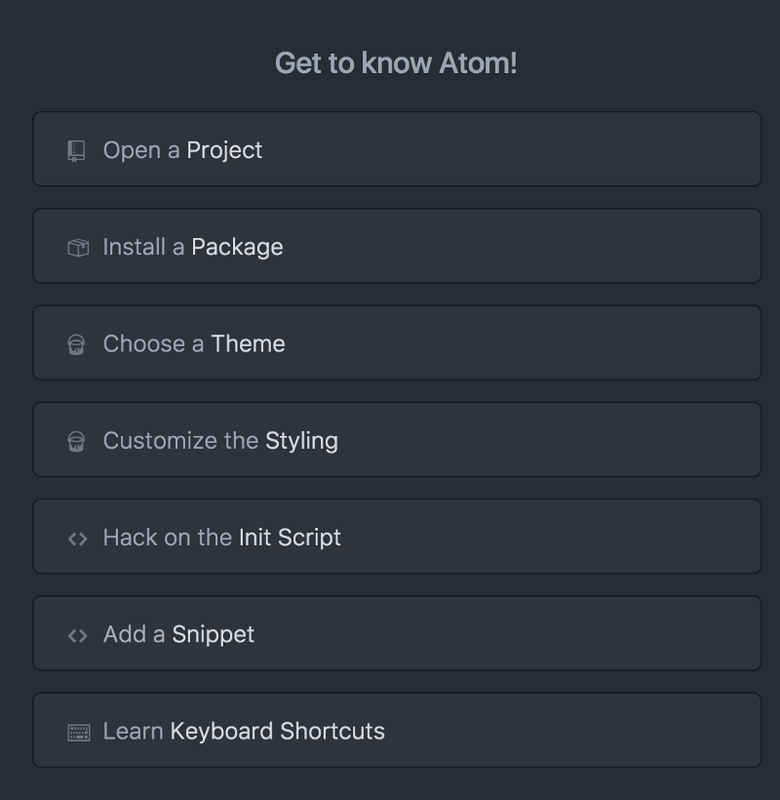 I do like atom get to know screen, its very succinct and gets the user acquainted with the powers of a modern, extensible and hackable editor using the best of web technologies on a local platform!